Ms Martel is also an entrepreneur in tourism and mobile technology. To make getting around in Samoa easier, she developed and launched a travel app called Samoa Smart Guide, which has earned five star ratings on the Apple and Google app stores. Ms Martel is a high chief, a gold medalist in the Olympic sport of archery, Consul of France in Samoa, a decorated Officer of France’s National Order of Merit, and the recipient of the prestigious Star of Oceania Awared for her courageous leadership from the University of Hawaii. 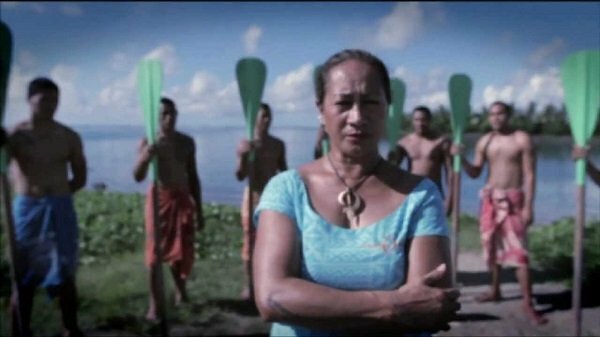 Ms Martel has used her considerable platform to speak out against the against the abuse of women and children in Samoa. When she took a passionate stand against domestic violence on a recent Facebook Live video, it garnered over 300,000 views and thousands of shares. “We should all act to end the abuse against women and children which has ruined so many innocent lives and broken up families in our Pacific communities,” she says. 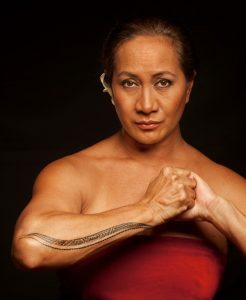 This portrait of Zita Martel was first published by the Pacific Community for the 70 Inspiring Women campaign, it is reproduced here (with some modifications of our own) with their permission.